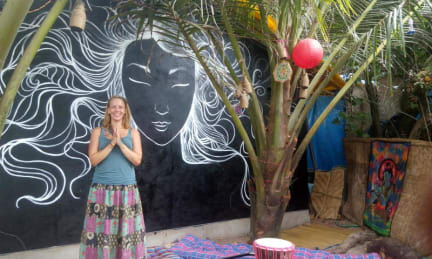 Arambolicious i Goa, India: Bestill nå! With the sight of the endless sea and splash of the waves 'Arambolicious' will be a reason for you to meet fellow travelers and make real life connections. This place is a madhouse which will give you more than just a room to sleep in. Here we help travelers to connect with each other and share their Indian experience. Well, we work hard to create an environment that gives backpackers a sense of home and family. Come check us out and let us show you the crazy side of Goa life.